at the World Organization for Intellectual Property (WIPO). interlaced in the rings or, beneath a tiara argent, crowned or). 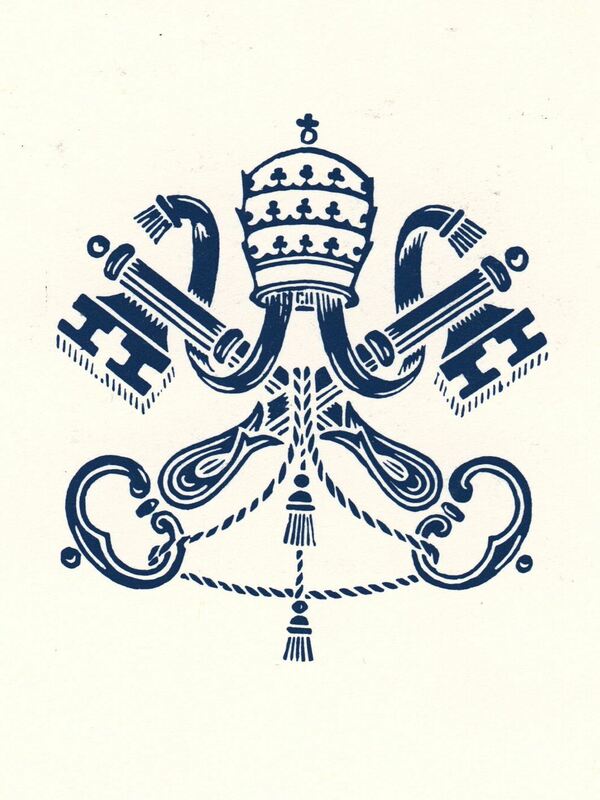 The symbolism is drawn from the Gospel and is represented by the keys given to the Apostle Peter by Christ. 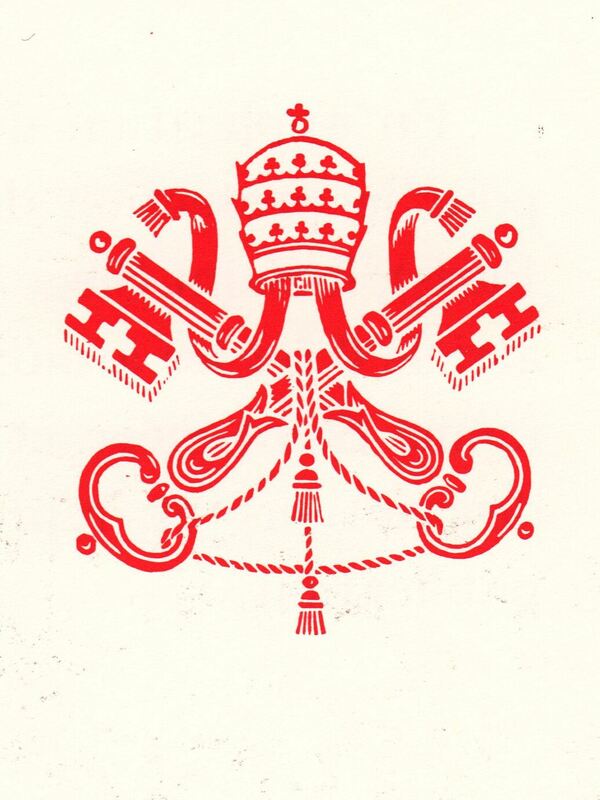 The insignia is red with the two keys crossed as the Cross of St. Andrew, one gold and one silver, with the cotter pointed upwards and towards the sides of the shield. Two cords hang from the grips of the keys, usually red or blue. 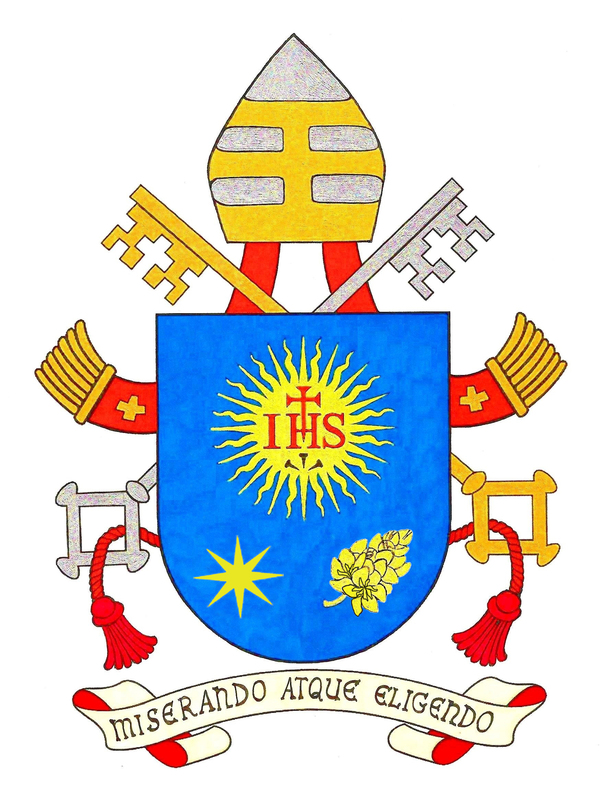 The shield is surmounted by the tiara or triregnum. Two ribbons hang from the tiara, each with a patent cross. Ordinarily the keys have the mechanical part placed up, facing to the right and the left and usually in the form of a cross, not for the mechanisms of a lock, but as a religious symbol. The grips vary according to artistic taste, from the Gothic to the Baroque. 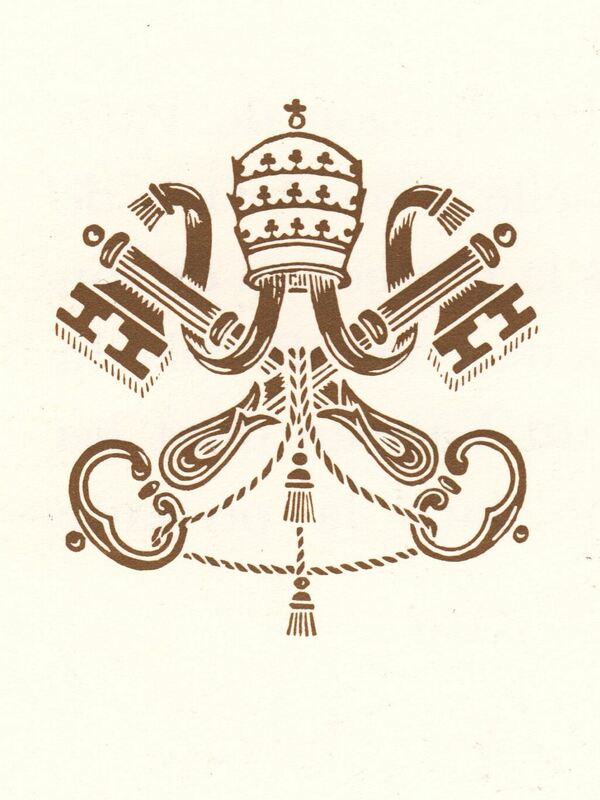 Since the XIV Century, the two crossed keys have been the official insignia of the Holy See. 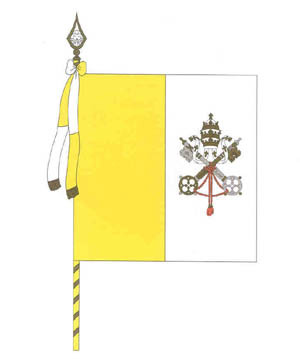 The gold one, on the right, alludes to the power in the kingdom of the heavens, the silver one, on the left, indicates the spiritual authority of the papacy on earth. The mechanisms are turned up towards the heaven and the grips turned down, in other words into the hands of the Vicar of Christ. The cord with the bows that unites the grips alludes to the bond between the two powers. with a pearled external one, two by two.